For your convenience, we now accept credit card payments and PayPal payments. Join us in supporting our students, staff and parents!! Orders will be taken until August 31, 2018 at the following site. Any questions can be emailed to Colleen Keen at cakeen@gmail.com. Tentatively, we are scheduled for room B6. We look forward to seeing you there. ​See http://ipsdweb.ipsd.org/IPPC/Default.aspx/ProjectArrowPTA for more information. 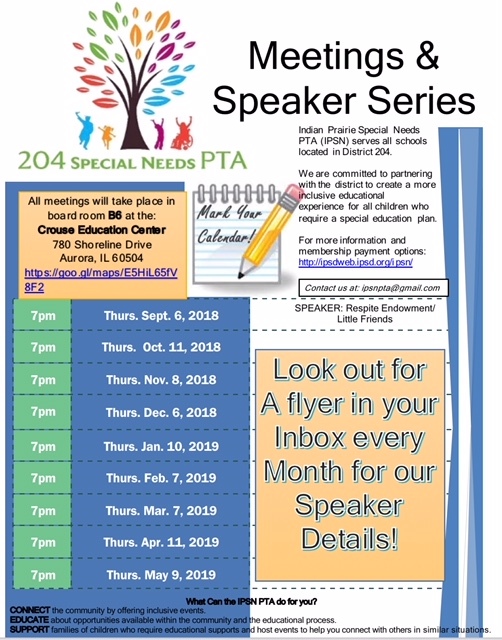 The Indian Prairie Special Needs PTA (IPSN) serves all schools located in District 204. 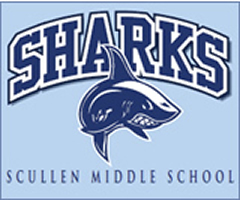 We are committed to partnering with the district to create a more inclusive educational experience for all children who require a special education plan. Membership is open to EVERYONE! See http://ipsdweb.ipsd.org/ipsn/ for more information. meetings will be at Prairie Children Preschool, inside the Crouse Education Center at 780 Shoreline Drive, Aurora. Reflections project categories include: Dance Choreography, Film Production, Literature, Music Composition, Photography, Visual Arts, Special Artist Category. Parents have a choice of which division to enter their student in: Traditional Grade or Special Artist. Students can enter as many projects as they like, in as many categories as they like! So draw, paint, make a collage, write something, take a photo, compose a song, choreograph a dance, or produce a movie! All projects must reflect this year’s theme: HEROES AROUND ME.